WASHINGTON --Librarian of Congress James H. Billington has appointed Natasha Trethewey to serve a second term as U.S. Poet Laureate Consultant in Poetry. "The Library and the country are fortunate Natasha Trethewey will continue her work as Poet Laureate," said Billington. "Natasha’s first term was a resounding success, and we could not be more thrilled with her plans for the coming year." Ms. Trethewey’s first term as the 19th Poet Laureate Consultant in Poetry was noteworthy for her "Office Hours," during which she met with the general public in the Library’s Poetry Room—harkening back to a tradition established by her predecessors in the post from 1937 to 1986. For her second year, Trethewey will move beyond the capital to seek out the many ways poetry lives in communities across the country and addresses issues and concerns of Americans. In that pursuit, she will draw on her own life experiences as a guide—visiting places she feels a personal connection to, such as a domestic violence center, an inner-city school, a prison or juvenile detention center, a nursing home, or places that have suffered natural or man-made disasters. The specific locations will be determined closer to the start of the Poet Laureate’s second term. In her travels to cities and towns for the series, Trethewey also intends to hold "Office Hours on the Road"—meeting with members of the general public as she did in the Library. Trethewey is the author of four poetry collections, including her newest, "Thrall" (2012). Her other collections are "Native Guard" (2006), winner of the 2007 Pulitzer Prize in Poetry; "Bellocq’s Ophelia" (2002); and "Domestic Work" (2000). She is also the author the nonfiction book "Beyond Katrina: A Meditation on the Mississippi Gulf Coast" (2010). Trethewey is also serving as the Poet Laureate of Mississippi, which holds a four-year term, and will continue in both positions next year. Her other honors include fellowships from the Guggenheim Foundation, the National Endowment for the Arts, the Rockefeller Foundation Bellagio Study Center, and the Bunting Fellowship Program of the Radcliffe Institute for Advanced Study at Harvard University. She is the four-time recipient of the Book Prize from the Mississippi Institute of Arts and Letters and has twice received the Lillian Smith Award for Poetry. She is also the recipient of the 2008 Mississippi Governor's Award for Excellence in the Arts and was named the 2008 Georgia Woman of the Year. Born in Gulfport, Miss., in 1966, Trethewey earned a bachelor’s in English from the University of Georgia, a master’s in poetry from Hollins University, and a master of fine arts from the University of Massachusetts at Amherst. In 2005-2006, she was named the Lehman Brady Joint Chair Professor of Documentary and American Studies at Duke University and the University of North Carolina. In 2009-2010, she was the James Weldon Johnson Fellow in African American Studies at the Beinecke Library at Yale University. At Emory University, Trethewey is the Robert W. Woodruff Professor of English and Creative Writing and director of the Creative Writing Program. 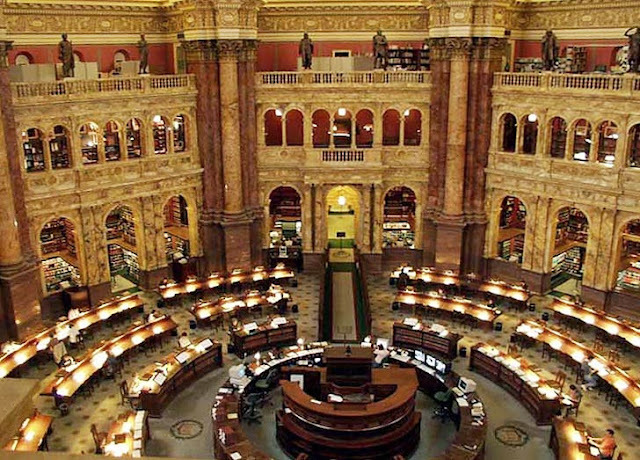 The Library of Congress Poetry and Literature Center fosters and enhances the public's appreciation of literature. To this end, the center administers the endowed Poet Laureate Consultant in Poetry position, coordinates an annual season of readings, performances, lectures, conferences, and symposia, and sponsors high-profile prizes and fellowships for literary writers. For more information, visit www.loc.gov/poetry/.